The Lady Sharks softball team recently took honors at the All-Conference and All-State tournaments at the FCSAA banquet. Eight members of the team claimed first and second team honors. Milena Calixto was named pitcher of the year for both the All-Southern Conference and the FCSAA. Her team members, Raquelli Bianco, Amber Plaza, Stephanie Cabrices, Karina Hernandez, Cassandra Perez, Maria Ueno and Samantha Cardillo also received honors for their stellar performances on the field during the season. 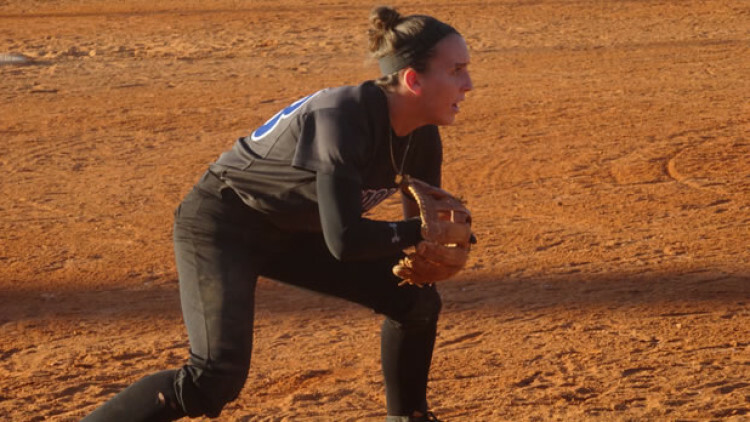 During the regular season, the Lady Sharks claimed victory over some of the country’s top-ranked teams such as #1 Indian River State College, #10 Polk State College, #18 College of Central Florida, and #19 Seminole State College but lost while competing in the state tournament to Daytona State College and Lake Sumter. Leading the team in batting average and also claiming first team for the conference and the state was sophomore Raquelli Bianco batting .424 with a slugging percentage of .680, 53 hits, 28 RBIs and seven homeruns. Trailblazing from the pitcher’s mound was freshman Milena Calixto with an overall ERA of 1.11 and 133 strikeouts in 152 innings pitched.